I know that a lot of you will probably just be glad to see me go, but I'm taking off on Monday for the summer, so I thought I'd say goodbye now. I have made 2300 posts in the last five months. Going to Alaska will needless to say be good for me because I'm obviously addicted to this site. Anyway, I feel like I have made a lot of friends on this site. I've really enjoyed seeing everyone's pictures, hearing about different trips, the political debates, and all the laughs! I hope you can check in from time to time while in the Great Frozen Wastes. Be safe and have fun. One of these days we're going to have to catch up -- maybe at McGrath's or something when I'm between the airport and Old La Sal. "The eagle never lost so much time as when he consented to learn of the crow." Ya dude....log in and post some pics from Alaska. Just because you're not in Utah doesn't mean that you can't post here. Do they not have comptuers up there? I think they just recently got telephones and electricity. It should only be a few decades until computers. There are of course computers in Alaska. I'm just going to be working 80 hours a week and when I have time off I'll use it more for hiking, camping, sleeping, and keeping in touch with my family. I'll sign on some I'm sure, just not nearly as much as I do now. How are you spending your last weekend in Utah? I hope you're going to get out and do something fun. Let someone else mow the lawn. Good luck, have fun, don't get mauled by bears, cya back in a few months. Good luck to you and your wife and be sure to check in when you can. This place wont be the same without you. All in good fun We will miss you around here. Take a long enough string and a can so you can still find a way to talk to us. All the best up there - hope you have a successful and edifying summer! And, yes, the occasional photo and update would be appreciated. Good luck - will you be back in the Fall? The gostak distims the doshes. 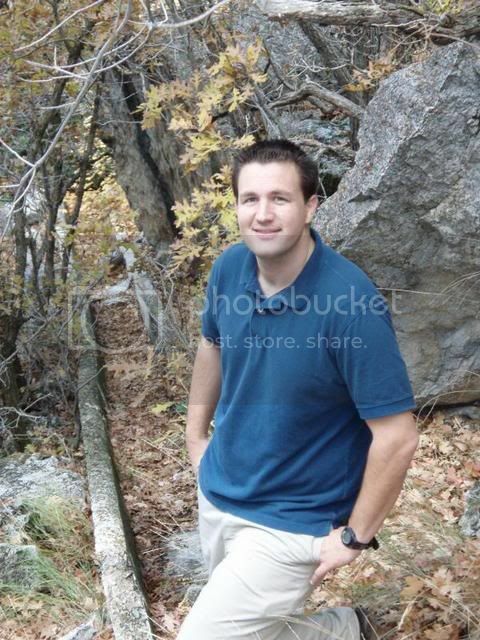 Dude, you are standing at the aqueduct geocache in Rock Canyon, aren't you? Have fun in Alaska, let me know when you get back in to town, I'll supply the drinks and chips for Ohio St - Michigan. Have great Summer, an adventure that will be with you forever. Or until you reach my age and CRS sets in. Quoting my best friend, Bob McNally, after a bad boating trip: "Nature scares me!" Alaska is an awesome place, enjoy the most you can. have fun! i'm behind you in 3 weeks. change of plans for me too. i'll be going to kodiak instead of juneau. same type of job but better money. anyone going to be out this weekend?